A “generic” version of a biopharmaceutical may be introduced after patent expiration of the innovator’s product. 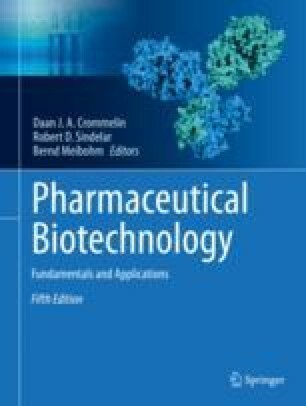 However, the generic paradigm as it has developed for low molecular weight actives over the years cannot be used for biopharmaceuticals. In the European Union and the US regulatory systems, the term “biosimilar” was coined for copies of brand name, innovator biopharmaceuticals. Different than for small molecule generic versions, in most cases, comparative clinical testing of the biosimilar product must include a robust evaluation of safety and confirmation of efficacy in appropriate patient populations. This chapter discusses the two practices that evolved in the USA and European Union for the development of the biosimilar drug products.